Apple has always dominated the smartphone market with iPhone and its trend-setting technologies and software development. Ever since its inception in 2007, it has been upgraded tremendously, from the hardware to the iPhone SDK and iOS9. We develop top iOS/iPhone apps with our years of experience in iOS platform. IADI is a leading professional iPhone application development company offering custom iOS apps and games development services. 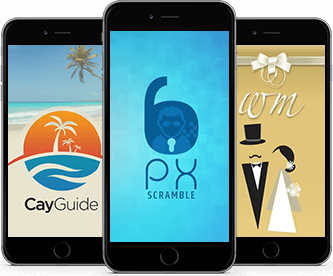 Our team of expert iPhone application developers and designers craft visually stunning and intuitive iPhone apps that exceed clients expectations, increase brand awareness and improve ROI. iPhone App Development Company - IADI has been a trusted partner to businesses worldwide for their iPhone application development services requirements across diverse industry verticals. Whether you are looking for native iPhone application development or upgrading your current app to the latest iOS technology; iPhone app migration or iPhone app maintenance, our dedicated team of iPhone app programmers will be ready to meet your needs. As one of the leading iPhone app development companies in India, we collaborate with you at different stages - right from conception, design, development, and deployment in the App Store. We have developed iPhone apps that have been featured in the App Store and downloaded by millions of users for different categories. At IADI (iPhone App Development Company), you can hire iPhone app developer according to your requirements on full-time, part-time and hourly basis for your dream iPhone app project. Our expert app developers, creative iPhone designers and strategists will help you build best iPhone application that will rule the app world. Got an app idea? Let’s work together. Keep me updated with the latest IT news & happenings.